Some 15th-birthday parties for Mexican girls involve limousines and neon-colored dresses. 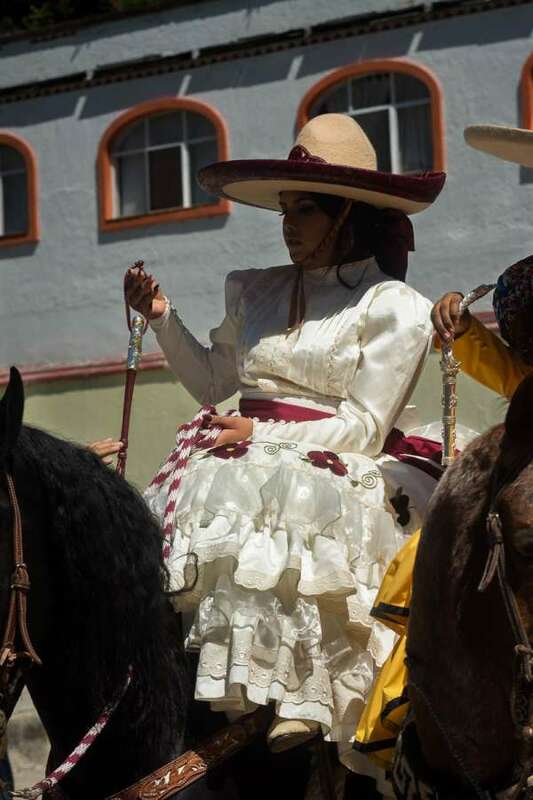 This quinceañera in Ajijic, Jalisco, however, was all about the Mexican escaramuza cowgirl. 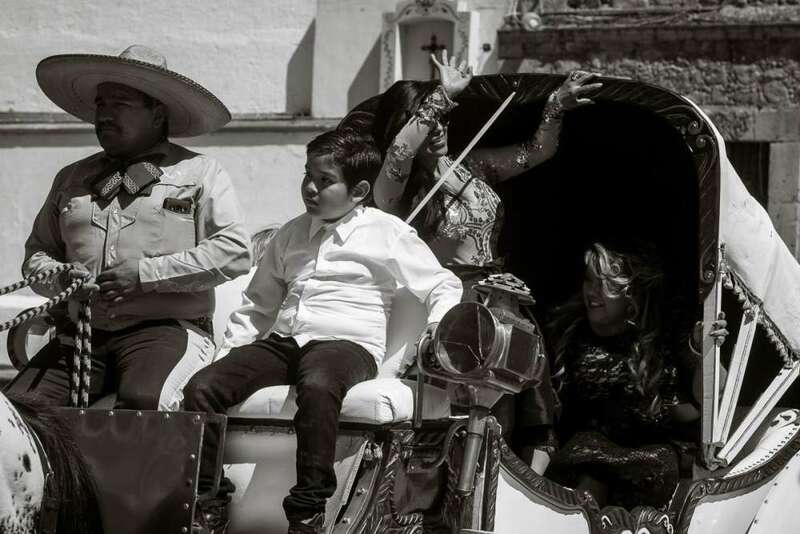 For many Mexican girls, their fifteenth birthday celebration, or fiesta de quince años, is the highlight of their teenage years. Sometimes these fiestas are planned years in advance and can cost hundreds to tens of thousands of dollars, depending on the family. It’s kind of like a mix between a Jewish bat mitzvah and the debut of a French debutant: in part, it’s a religious passage that usually starts with a mass at church involving the quinceañera’s parents, godparents, general invitees, and a “high court” of her peers. But it’s also an important coming-of-age moment and social occasion for those who chose to be quinceañeras. (Note that in English “quinceañera” commonly refers to the celebration. In Spanish, it refers only to the birthday girl herself.) I know many younger women who didn’t have a quince años party. They just didn’t want to or thought it was silly. But sometimes the reasons for not having one are created by the financial burden such a big celebration involves. In 2016, a father in the state of San Luís Potosí created a video inviting “everyone” to come to his daughter Rubi’s 15th birthday party. This proud father in a cowboy hat never imagined anyone outside of his town would see the video, which was posted to Facebook. The video went viral. It inspired thousands of memes and more than million people threatened to go to Rubi’s fiesta de quince años. 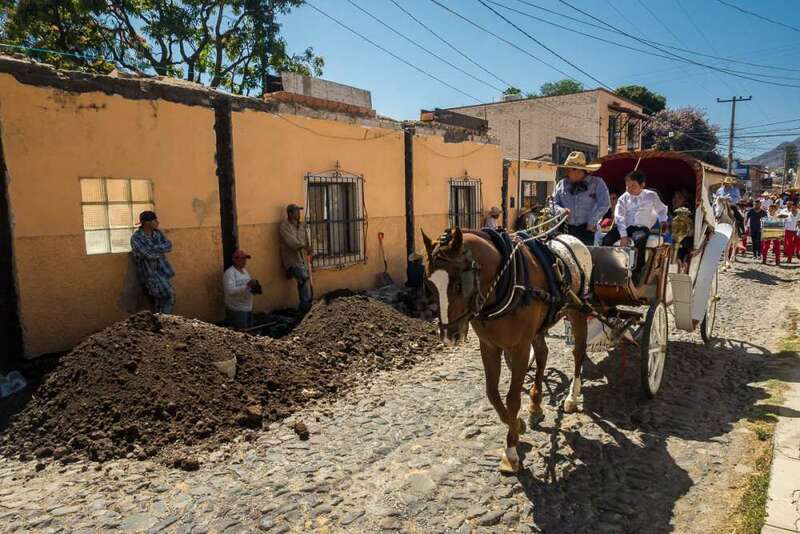 In the end, 10,000 traveled from all over Mexico for the fiesta in the small town of Charcas, population normally 11,400. Big bands played on stage, Rubi’s mother battled with the hundreds of press members, and there was even one death during a contest involving horses. Sometimes teens choose to celebrate with limousines and clubs. Others want something a little more classic and traditional. 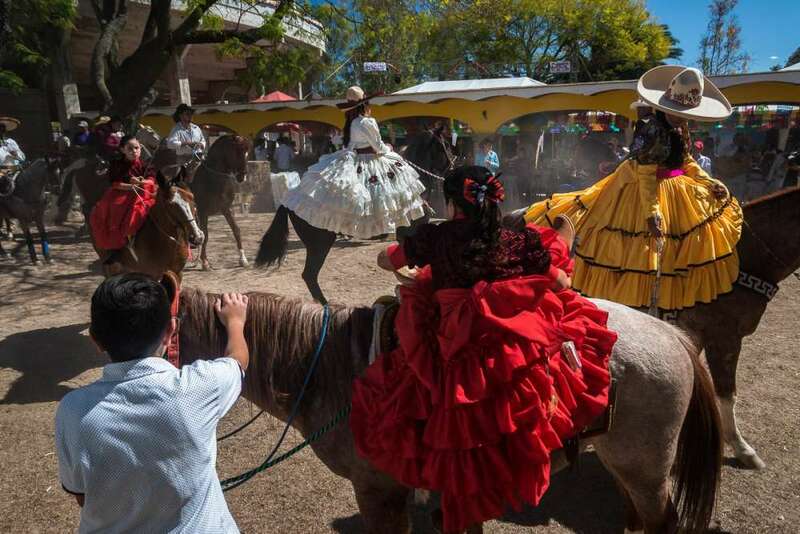 So that’s what Anna Guitérrez chose for her fiesta de quince años in Ajijic, Jalisco, when she turned 15 this year. 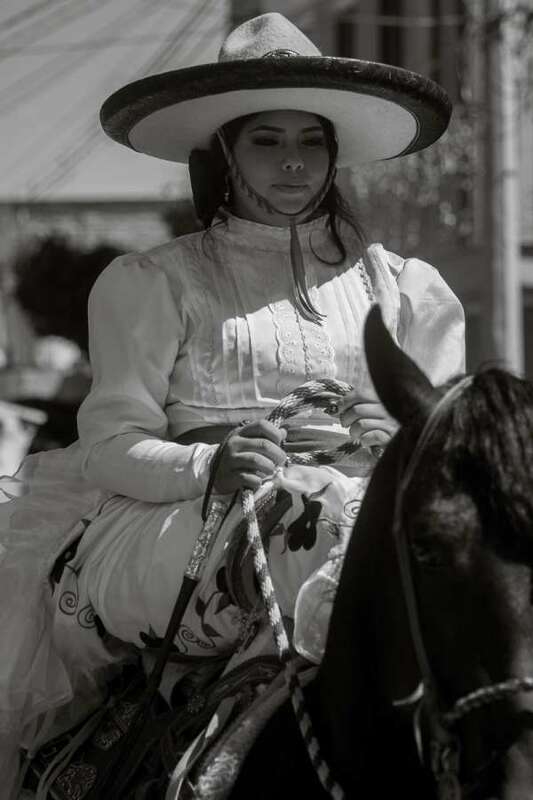 Instead of the highly saturated formal evening dress, she put on an escaramuza cowgirl vestido. 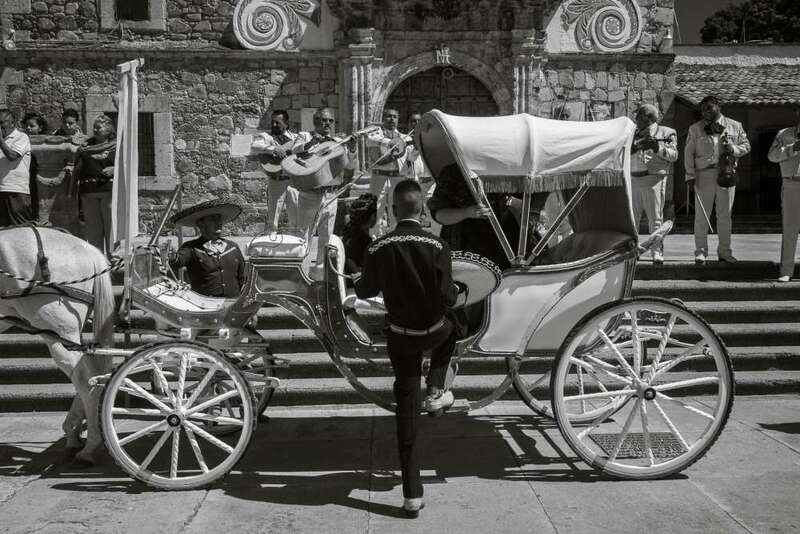 Her family hired a mariachi band and a wooden carriage. And after the church ceremony church, everyone rode in a procession through town to the local bull ring for dancing, drinking and partying until late. Anna Guitérrez after her quincerañera ceremony. 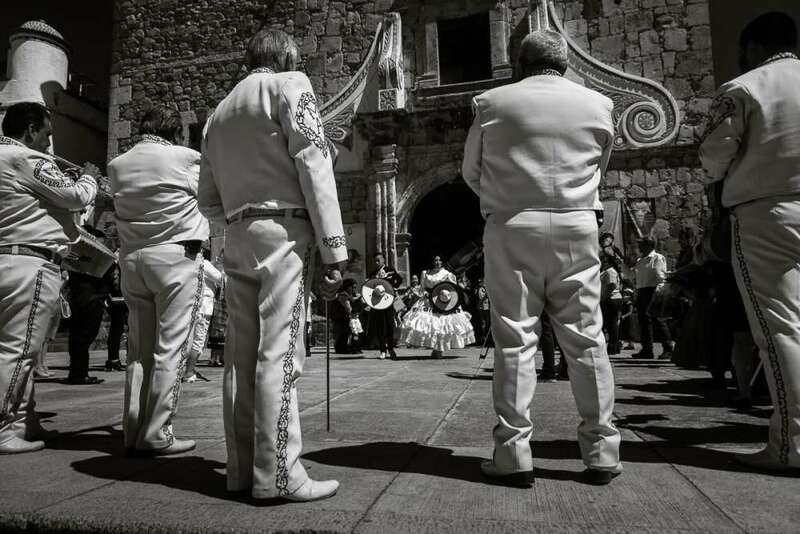 A mariachi group plays during Anna’s exit from the San Andrés church in Ajijic, Mexico. A wooden horse-drawn carriage to take some of the relatives from the church ceremony to the party. Anna’s aunt boards the carriage. 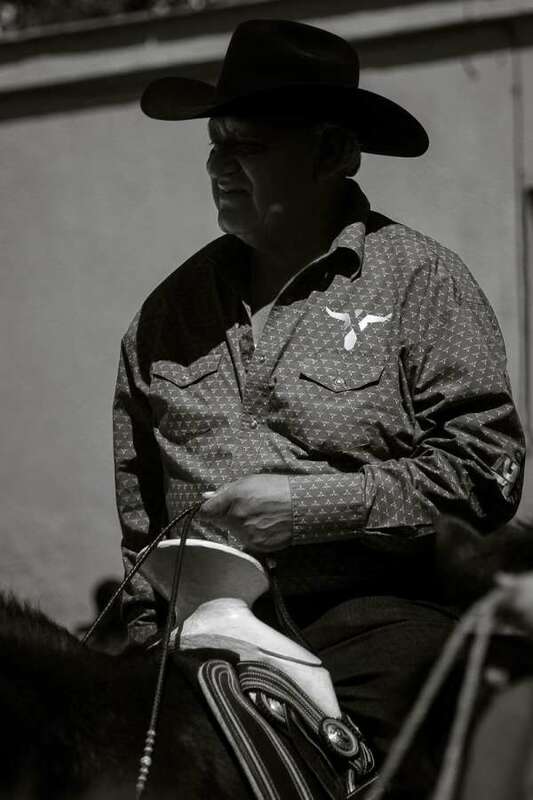 Gabriel Gucho rides his horse during the parade. Construction workers pause to watch the quinceañera procession go by. 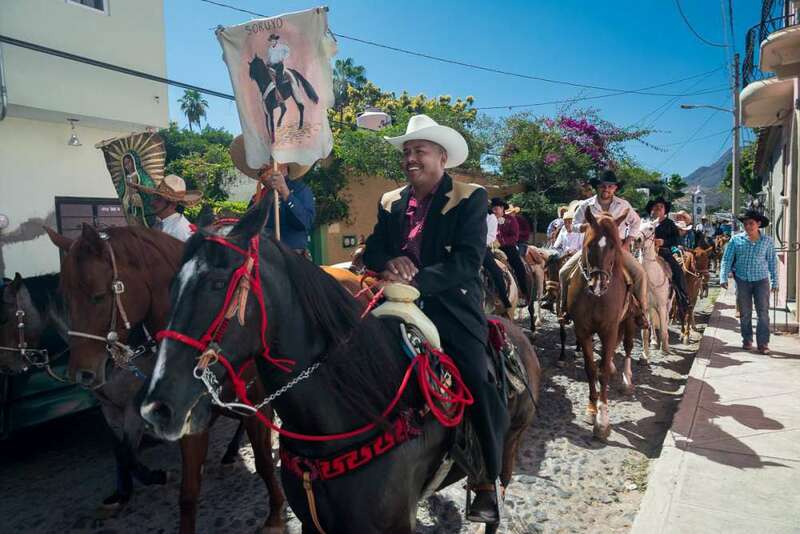 The father of the quinceañera girl leading a group of cowboys during the procession through the streets in Ajijic. Sweat beads up on the violinist’s forehead during the parade. 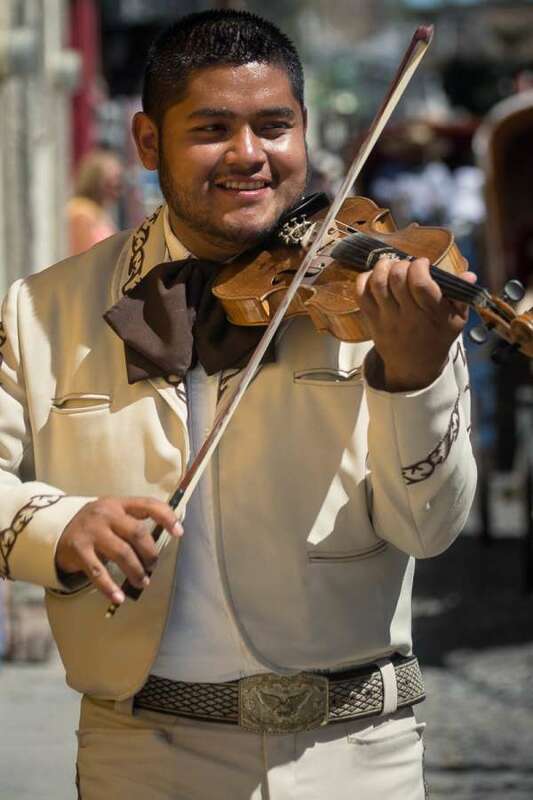 Playing violin, wearing matching mariachi suits, and walking on the cobblestone streets in the midday sun is heavy work. This is one of the two bands hired to play music for the fiesta de quince años. 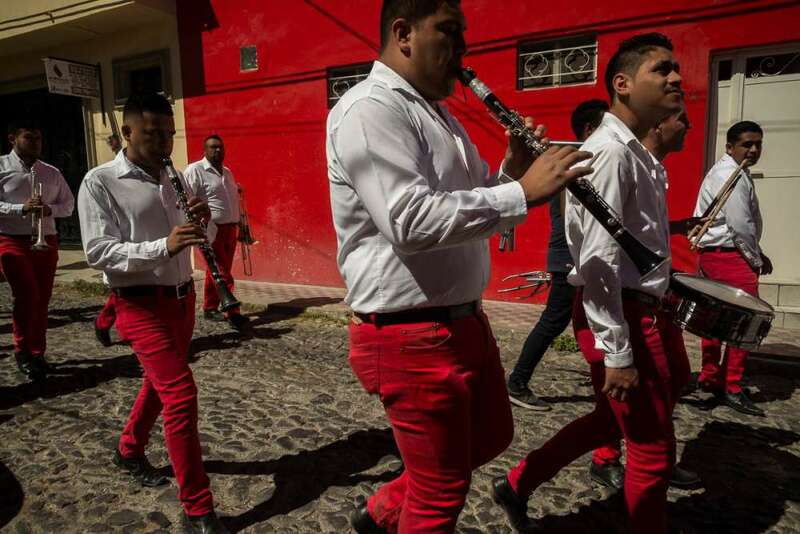 This type of band is called a banda, due to the style of music they play. 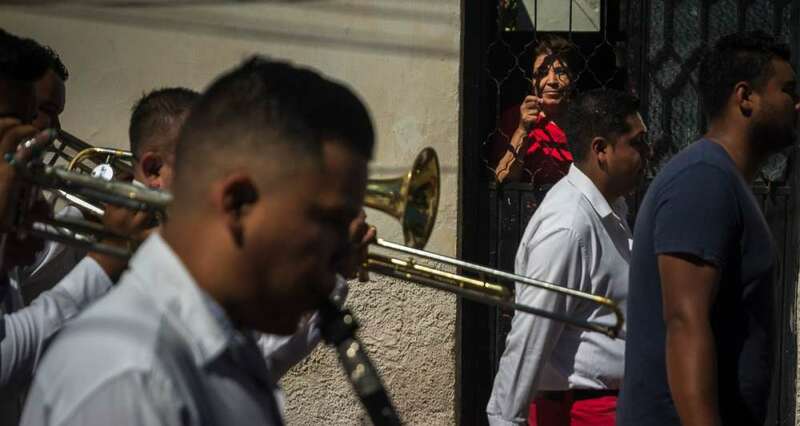 A woman peers out from her front door to watch the parade go by. In very small towns, especially in years past, a parade passing by your front door might be the entertainment highlight of the day. After the procession, everyone arrives outside the town bullring to eat lunch, drink, listen to music and dance until late. 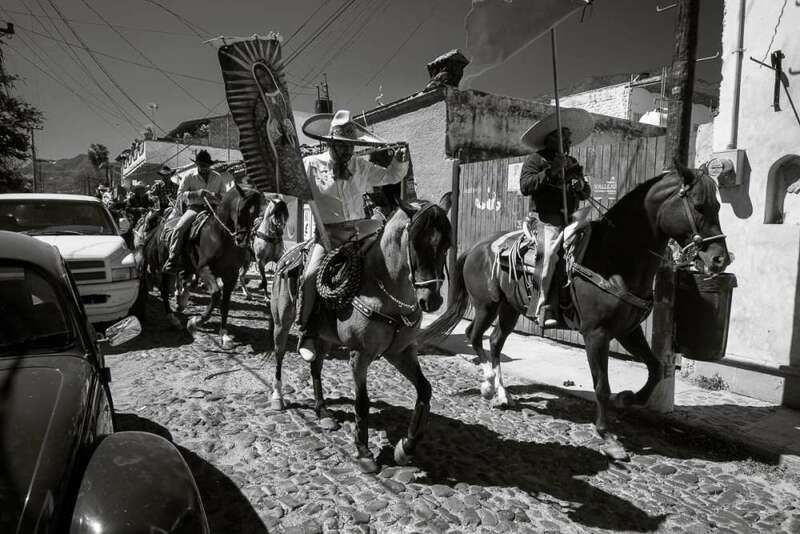 The quinceañera, Anna Guitérrez, rides her horse during the procession after her quince años ceremony in the town church in Ajijic, Mexico.